Let the Ancona Valencia Series Dual-Mount Single Bowl Sink be the stunning centerpiece of your kitchen. This modern 18-gauge stainless steel sink includes a 9inch deep bowl that allows you to perform all of your daily kitchen tasks while keeping cleaning easy and quick. This astonishing stainless-steel sink includes a versatile dual-mount design that will let you opt for a top-mount or under-mount installation while maintaining a convenient, practical and sleek appearance. Make a bold statement with the Kraus Kitchen Combo, feat. Geo Arch. The unique two-tone faucet has striking black insets that complement the colour of the sink. An EZGrip dual-function pull-down sprayhead provides flexible functionality. The KGU-413b 31" sink is made with 80% natural granite, for the look and feel of real stone. Choose from top mount or under mount installation for seamless style. A matching soap dispenser is included. Experience Kraus Quality, and create a kitchen you love. Valencia Series 33 inch Dual Mount Single Bowl Stainless Steel Sink Apron Handmade Let the Ancona Valencia Series Dual-Mount Single Bowl Sink be the stunning centerpiece of your kitchen. This modern 18-gauge stainless steel sink includes a 9inch deep bowl that allows you to perform all of your daily kitchen tasks while keeping cleaning easy and quick. 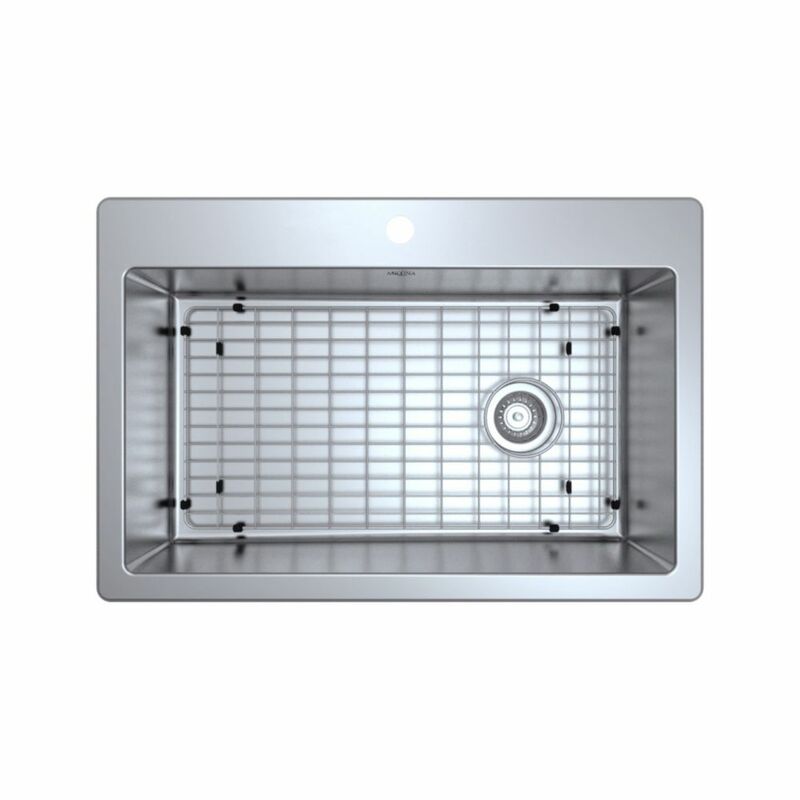 This astonishing stainless-steel sink includes a versatile dual-mount design that will let you opt for a top-mount or under-mount installation while maintaining a convenient, practical and sleek appearance.